On 14 September, the Bahrain Center for Human Rights (BCHR), together with the Americans for Democracy and Human Rights in Bahrain (ADHRB) and the Bahrain Institute for Rights and Democracy (BIRD) together with a larger group of NGO sponsors organized a panel event entitled "Closing civil society, religious and political space in Bahrain", held in Geneva at the 33rd Session of the Human Rights Council. Read the full description of the event below. Access the full description in pdf format here. Today on 14 September 2016, Americans for Democracy & Human Rights in Bahrain (ADHRB), the Bahrain Center for Human Rights (BCHR) and the Bahrain Institute for Rights & Democracy (BIRD) together with a larger group of NGO sponsors organized a panel event entitled “Closing civil society, religious and political space in Bahrain”. The event was held in parallel to the 33rd Session of the Human Rights Council (HRC) in Geneva, Switzerland. Michael Payne, Americans for Democracy & Human Rights in Bahrain’s International Advocacy Officer introduced the panel and observed that many familiar faces from Bahraini civil society were missing due to blanket travel bans that had been imposed by the government since last session of the HRC, preventing Bahrain’s grassroots civil society from engaging with the United Nations and its Member States. Welcoming the UN High Commissioner’s comments on the concerning situation in Bahrain yesterday, he presented ADHRB’s new report “Collective Efforts”, a report which assesses international statements made by several actors over past years to raise attention to the concerning human rights situation in Bahrain. He summarized the findings of the report. He concluded that while statements by the international community had helped to constrain the Government of Bahrain, there was a clear lack of progress and political will to protect human rights and fundamental freedoms, which demands a much stronger international response towards Bahrain. Ariel Plotkin, Campaigner on Bahrain at Amnesty International stated that Amnesty was also deeply alarmed by the situation in Bahrain. Similarly, she recognized the escalation in past months of violations to freedom of expression, association and assembly. She highlighted that this recent repression in Bahrain had also been unprecedented. Elaborating on the recent highlights such as the extension of Al-Wefaq’s General Secretary Sheikh Ali Salman’s sentence from 4 to 9 years, the revocation of Sheikh Isa Qassim’s citizenship, and the subsequent arrest of peaceful protesters who staged a sit-in outside Sheikh Qassim’s home in the village of Diraz to protest his denaturalization; Ariel expressed her serious concern over what future measures could be taken by the Kingdom of Bahrain. 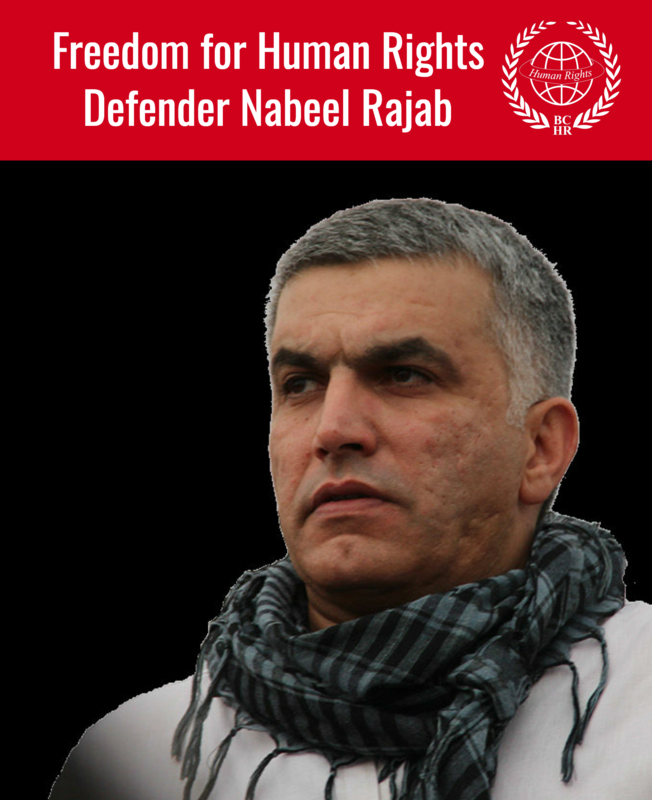 “The once thriving and courageous civil society in Bahrain, is at risk of disappearing,” said Ariel. She concluded by calling on Bahrain to annul the dissolution of Al-Wefaq, to re-instate the citizenship of those whose nationality was arbitrarily revoked, to release all prisoners of conscience, to end all forms of repression and finally, to comply with all of its human rights obligations. Dr. Dwight Bashir, Co-Director of the US Commission on International and Religious Freedom introduced himself as a regular visitor to Bahrain. He said he had been travelling to the country every year since 2009. Having recently returned from Bahrain, he provided a fresh assessment of the situation, citing in particular, the “systematic discrimination” faced by the majority Shia religious group in the country. He recalled that in some of his meetings with the Bahraini government, a common explanation for many of the extreme measures taken was the role of Iran and the concern over foreign agents. He stressed that “nothing had been produced” to justify these claims by the Government. He also highlighted that laws were being applied on this basis, but that these allegations were “not only inaccurate, but outright false.” He further expressed concern that the shutdown of opposition group Al-Wefaq, left nothing open for discussion. Citing his experience, he said what he observed in Bahrain was a polarization of extremes, both on the side of the majority Shia population and the minority Sunni population. This left people only to align with the government, or against the government. He emphasized the importance of religious freedom as a public and private human right that when violated, could have devastating consequences, consequences with which the international community is all too familiar. “When you go to the heart of someone’s faith and their personal belief – this becomes a huge concern,” he said. He also marked that while the Government of Bahrain had rebuilt 27 of the 30 Shia religious sites it had demolished in 2011, their position on some key sites was that they would facilitate the legal paperwork and that this was enough. In addition to their other attacks on the Shia, however, they showed little will to diffuse sectarian tensions. Ending on the point of Sheikh Isa Qassim’s potential upcoming conviction, he stressed that if convicted, Sheikh Isa Qassim’s conviction would be seen as a direct attack on the Shia population, leaving open all possibility for extremism to grow in appeal. Laila Matar, Human Rights Watch UN advocate, thanked her fellow panellists for painting an “accurately grim” picture of the situation in Bahrain. She recalled that a big group of states had come together in Geneva one year ago (in September 2015) to express concern over the situation, but that the lack of collective action since, from a body that was mandated to address such issues, was unacceptable. She highlighted the extreme level of reprisals that had occurred since the last session of the Human Rights Council and expressed that these actions seemed to suggest that Bahrain felt emboldened by the silence of the international community. 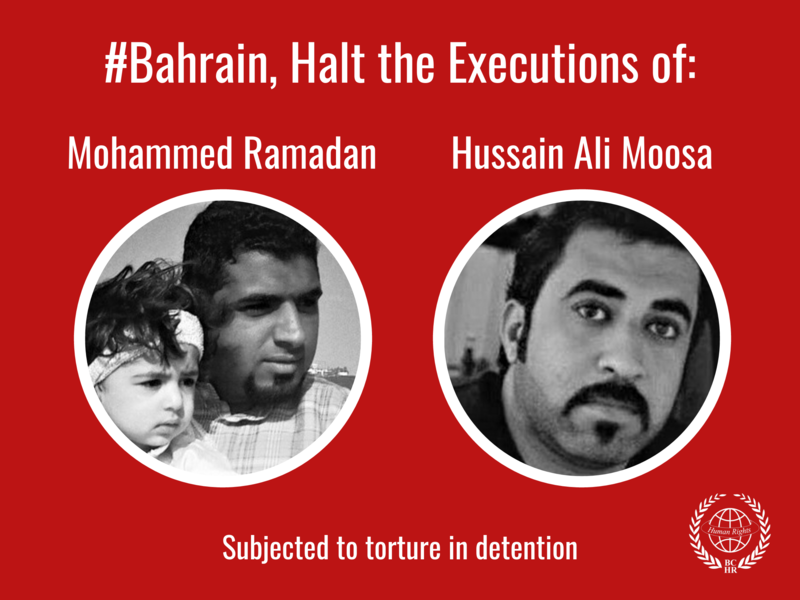 She also highlighted that while the international community seemed silenced, the deterioration in Bahrain had not been ignored by the experts of the Human Rights Council, as seen by the many communications of the Special Procedures, the report of the Secretary General and the concern expressed by the High Commissioner. She spoke clearly to Bahrain and the international community, pronouncing that “repression and support for repression is not a long-term strategy for stability.” This became a serious concern once Bahrain closed any political outlet for the frustration of people on the ground. Upon conclusion of the panellist’s comments, moderator Michael Payne asked Ariel Plotkin whether Bahrain, once recognized as an example of civil society activism in the region, was still representative of this. Plotkin replied that while the restrictions on civil society were challenging and had resulted in a closing of civil society space inside Bahrain, she still felt that Bahrain was a good example because she had seen how voices that had been smashed and particularly, voices of Human Rights Defenders who had been exiled, have only become louder outside of Bahrain. She described that it was fascinating how they have adapted to the circumstances and thus could still be looked to as an example of activism for the region. Michael also asked Bashir about how the polarization of extremes in the country could be reversed. Bashir responded that the international community had to encourage greater efforts by Bahrain to draw back its repression. He said that there needed to be a genuine will from Member States to look at the early warnings and react. Laila also added that a political impasse had been reached in Bahrain, thus the opposition did not have any more confidence in any government-led political processes. She commented that there was, now, more than ever, a need to provide incentives and costs for Bahrain to take clear and strong measures to rebuild this confidence, and that this push in the right direction could only be directed by the international community. Ahmed Ali, Legal Officer from the Bahrain Institute for Rights & Democracy raised a question to Ariel Plotkin about UK assistance in Bahrain and Amnesty International’s assessment of this program and its effectiveness. Ariel elaborated on some of the UK assistance programs and added that given the recent turn of events, these programs did not really seem to be having their desired effect. Husain Abdulla, Executive Director of Americans for Democracy & Human Rights in Bahrain mentioned reports that torture in Bahrain was no longer an issue in the country’s prisons, he asked Sayed Yousif al-Muhafdha whether these reports were accurate. Sayed Yousif disagreed and cited a number of examples. He noted in particular that the Special Investigations Unit (SIU) mandated to hold the perpetrators of torture accountable, had been totally ineffective and were not transferring any of the complaints they had received to the courts. Thus, he concluded that there was still a strong “culture of impunity” in Bahrain. An audience member from a youth organization also posed a question to the panel, citing a case that he had read about and asking the panel how many children and youth were being held in Bahrain’s prisons. Sayed Yousif opened that over 120 children and youth had been subjected to imprisonment since January 2016. Finally, Erin Sigmon, from Americans for Democracy & Human Rights in Bahrain asked what more could be done by civil society to pressure greater action by Member states. Laila Matar frustratedly concluded that unfortunately it came down to political will of Member States. However, she encouraged civil society to call into question the silence on Bahrain and continue to demand the Council to be non-selective and address country situations based on solid criteria. This event was organized by Americans for Democracy & Human Rights in Bahrain (ADHRB), the Bahrain Center for Human Rights, and the Bahrain Institute for Rights and Democracy (BIRD). This event was also sponsored by Amnesty International, FIDH’s Observatory for the Protection of Human Rights Defenders, Human Rights Watch, and Reporters Without Borders. Read the full description of the event in pdf format here.